Podcasts for welding your passion to your potential to increase your performance. What fulfills you? What are you passionate about? What is success to you? These are examples of what executive leadership coaches Jennifer Davis and Elizabeth McCourt help their clients to define. 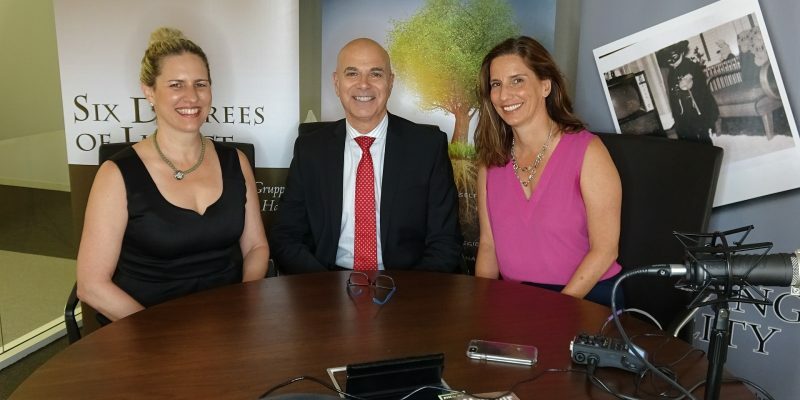 This episode of the Roots of Leadership is jam packed with leadership secrets and advice from Anthony’s two guests: Jennifer, the founder and CEO of Jennifer Davis Coaching, and Elizabeth, the founder and CEO of the McCourt Leadership Group. These two successful women have a laundry list of individual achievements. Elizabeth recently released her novel Sin in the Big Easy and Anthony asks her how she balances all of her different adventures. One of Elizabeth’s secrets to keeping balanced is to center all of her efforts on her core beliefs – to make mindful choices, to make meaningful impact, and to exercise resilience in everything she does. Both Elizabeth and Jennifer stepped away from corporate jobs to pursue careers in coaching and leadership development. Jennifer recalls the shifting point in her life, when her family went through a difficult experience and describes it as the first time things did not go her way. While doing some soul searching, she realized that what fulfilled her the most is helping others. She went from being a “mostly recovered workaholic” to becoming a servant leader who coaches her clients seek their maximum fulfillment. Elizabeth and Jennifer connected on social media and they formed their relationship on the key principal of sharing information. They found similarities sharing that their individual journeys led them to want to work with other people to help them find their joy, passion and energy. The two coaches established a partnership and collaborated to inspire and help one another. They believe it is important to embrace change and motivate their clients to go down unexpected paths. Armed with the deep desire to help others, Jennifer and Elizabeth encourage their clients to define their own versions of success. Two industry leaders go one on one to discuss leadership, company culture and the changes in healthcare. 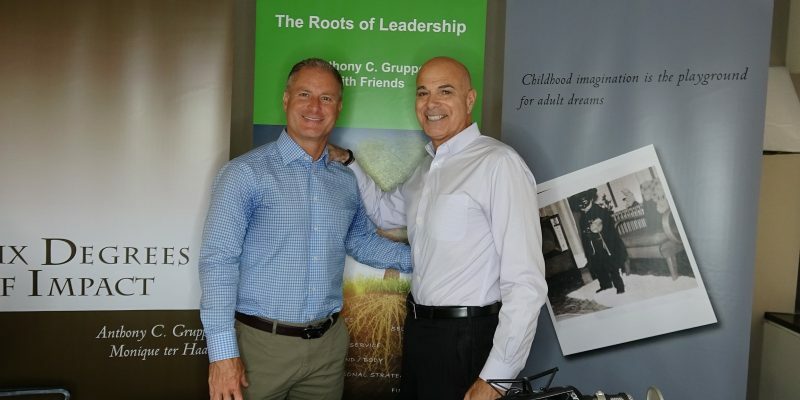 Anthony and Paul Marden, the CEO of UnitedHealthcare, New Jersey, give insight for young leaders and entrepreneurs that are imperative for success. In his first question to Paul, Anthony inquiries about Paul’s earliest leadership memories. Paul recalls his early years in sports and how it took the group to come together to lock in on one goal. He remembers how being named captain meant that his teammates were always watching him and he knew he had to work hard and to do the right thing by being in the right place in the right time. In sports, he found that practice was paramount and understood what it meant to be relied upon as a leader. From his first experiences of leadership, to now being a leader in a large corporation, Paul uses the same principles to guide his colleagues. Through one of the worst work life experiences, he was relied upon to help turn his organization around. Because he had been working hard and doing the right thing, management knew they could put their faith in him to be a part of the team to rebuild the fallen company. Now that he spearheads the company’s efforts, he also takes a very active approach on helping to shape the culture. UnitedHealthcare’s tagline is “helping people live healthier lives” and that is what Paul strives to do every day in his work. It is engrained in the company’s culture and his goal is to continue to help improve healthcare by making it more affordable and less complicated. During “unfreezing sessions” managers are called upon to immerse themselves in the company’s culture, which includes learning and living by their values of integrity, compassion, relationships, innovations, and performance. Anthony asks Paul how values shape a team and he explains that whether they realize it or not, leaders have huge shadows. A leader will dictate how the rest of the work force will perform by both direct and indirect cultural development. Paul encourages young leaders to ask for opinions. He explains that soliciting input from a diverse group of people empowers managers to make a better decision. He also advises to never forget the consumer. Paul emphasizes why it is so important to remember why they buy your product. A good leader is one that has integrity and can be trusted upon to deliver on what they say they will do. Legacy. That is what Diversant CEO and founder Gene Waddy has on his mind every day. Gene has lead Diversant into becoming the largest African-American owned IT staffing and solutions firm in the US. From the inspiration of his father, to the motivation of his wife and children, Gene Waddy knows and continues to strive for excellence. Throughout the podcast with Anthony, Gene continuously references his family and community, the two areas in which his legacy are of the upmost importance to him. Success to Gene is not measured by the typical material goods associated with wealth, but instead Gene measures success by his impact on all of those around him. Did we help someone today? Is what we do ever enough? Imagine running a corporate culture where answers to these questions determine success. Normally, success is measured on sales revenue, net profit margin, cost of customer acquisition and more. Of course, these metrics matter to the leadership team at Easterseals New Jersey. But for David Dean, he strives to make a difference. While Dean’s Easterseals journey began 11 years ago, his desire to help others started much earlier. When he walked 10 blocks every day to graduate school in New York City, passing homeless people, he wondered how to put into theological training into practice. 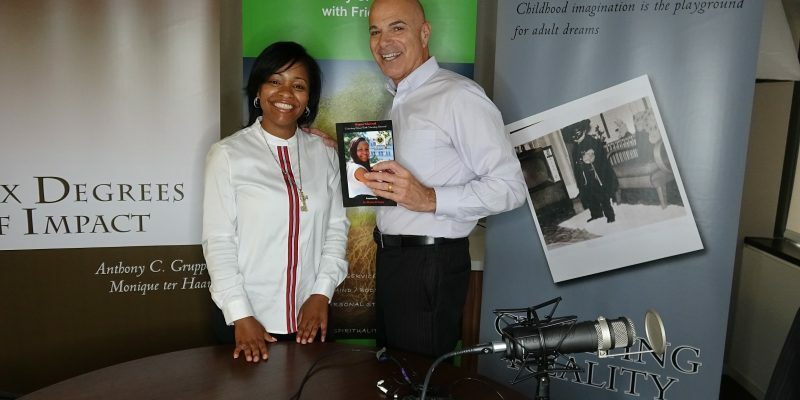 We are joined with HaKika Dubose-Wise, the nation’s youngest female franchisor, HaKika, aka Kika, is the founder and CEO of Kika Stretch Studio’s. Her business began with a $500 tax return and a never before seen stretching routine creating flexibility while simultaneously reducing tension and increasing circulation. Today, Kika Stretch Studio’s has expanded to 4 locations between New Jersey and New York. She has been recognized in NJBIZ, The New York Times, US News, and more! Conditions were not easy and sacrifices were made, but Kika, a former professional dancer and actress, learned from her mother, a serial entrepreneur, the value of a strong work ethic. The lessons she learned and shared are proof that fear has now met its match. Kika will be the first podcast guest returning for a follow-up spotlight with Anthony. If you have questions or comments for either Kika or Anthony, please send them in the comments box. Serial entrepreneur, Barry Beck, sits down with Anthony to discuss his successes and strategies as a leader and innovator. Barry, the Co-Founder and COO of Bluemercury Inc., started his first business at a young age shoveling snow in his Philadelphia neighborhood. He has an innate entrepreneurial spirit that was cultivated when his father told him that “he could be anything as long as he owns it”. Before starting Bluemercury with his wife Marla, he had three successful previous business ventures. Bluemercury started in an online only platform and pivoted to a combination of a “clicks and bricks” business model when they felt the company was in survival mode. Bluemercury is credited with putting a dent in the cosmetic universe and disrupting mainstream retail. Macy’s has since acquired the company, and lends its resources to the innovative retailer. Barry credits his personal board of directors – comprised of people with wisdom in different backgrounds who love him and understand him best – for challenging him to strive for more. He explains that he always had a drive to succeed and thinks his leadership and entrepreneurial qualities are a mix of both nature and nurture. 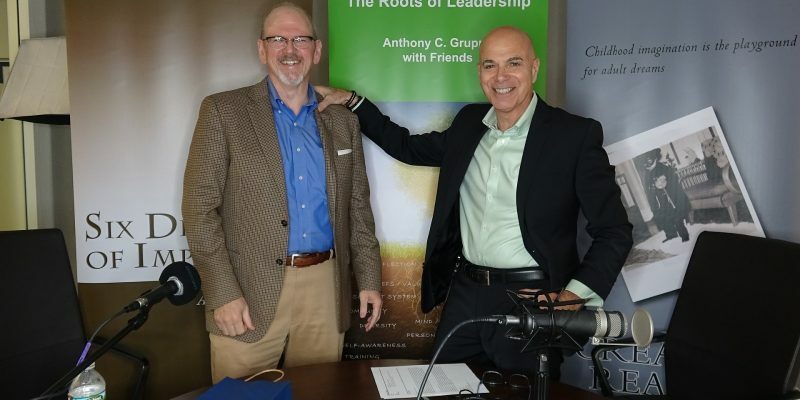 During this episode of the Roots of Leadership, Barry discusses the most important characteristics of a leader, when the best business decisions are made, and also shares some advice he received from Bill Gates before starting Bluemercury. When he was first starting out in his career, Chris Sugden was given a piece of advice that has stuck with him. He was told to “go find work, don’t wait for work to come to you”. This advice complimented with his dad’s instructions from his youth football days to “hit or be hit” has led Chris to live and work with the consciousness that opportunities do not just show up. 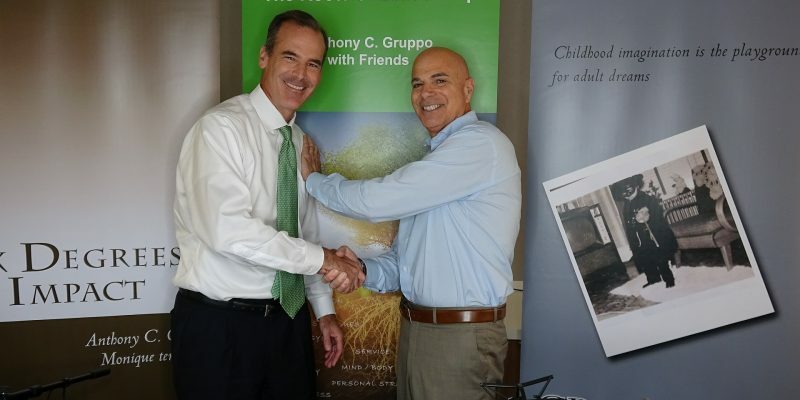 Now a partner and the Chair of the Investment Committee of Edison Partners, Chris seeks out opportunities to grow new ventures. The east coast-based private equity firm not only pursues partnerships with entrepreneurs, Edison Partners also thrives on developing and coaching their colleagues. 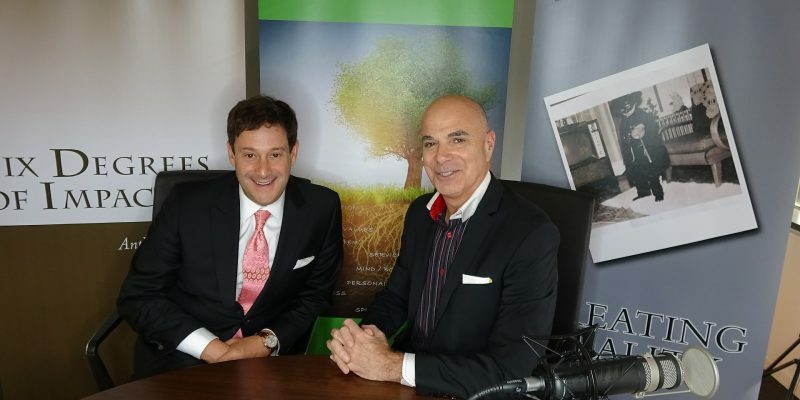 In this podcast, Chris sits down with Anthony to discuss how important mentorship and coaching is in business. Anthony poses the question that if actors, musicians, and athletes all have coaches to continuously learn and improve upon their skills, why wouldn’t there be coaches in the business world too? 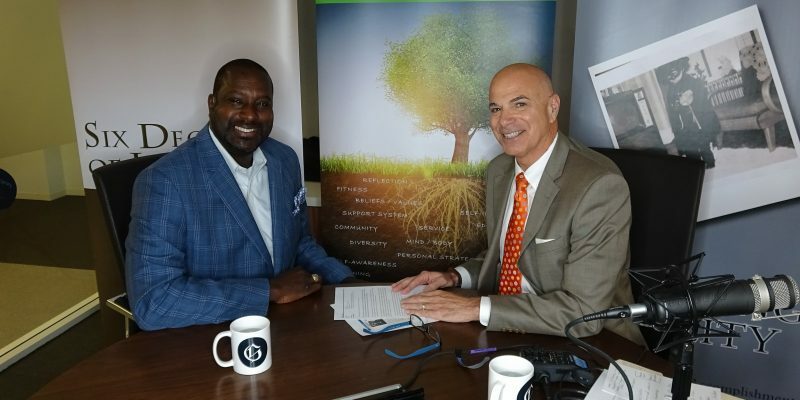 Dennis Johnson, Executive Vice President of Government Affairs at the Children’s Health Fund, joined us on the latest episode of the Roots of Leadership. The Children’s Health Fund started in 1987 and has grown to support and serve the needs of over 4 million children. 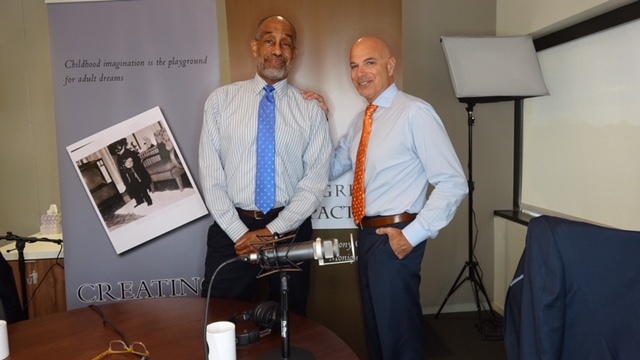 Mr. Johnson sat down with host Anthony C. Gruppo and reflected on his fascination with politics and the healthcare system, the type of skills needed for his position at the Children’s Health Fund, the amazing inspiration from Johnson’s younger peers, and the driving forces behind his success. The Children’s Health Fund is a non-profit organization dedicated to supporting innovative pediatric programs and policies to meet the needs of homeless and disadvantaged children. Read more of their story at https://www.childrenshealthfund.org/. We are joined with Crystal Kelly, a shining example of someone who believes that anything is possible as long as you have a strong focus, drive, and dedication. Crystal is a motivational speaker, Amazon best-selling author, and a community organizer who started a foundation, Power of your Purse. The story behind all of these achievements showcase Crystal’s passion for personal and professional growth. Her drive and dedication can be traced far back to her childhood. Conditions were not always the best, but Crystal found that with a supportive family and a never-say-never attitude, we all have the power within us to defy the odds. The Greek word ethos means the character that best describes a person(s) values. When listening to today’s episode, we understand the ethos/values that made AETHOS leaders, Keith Kefgen and David Mansbach, hospitality titans. Combined, they have more than 50 years’ experience in the hospitality space, published a book, and have lectured aspiring professionals. 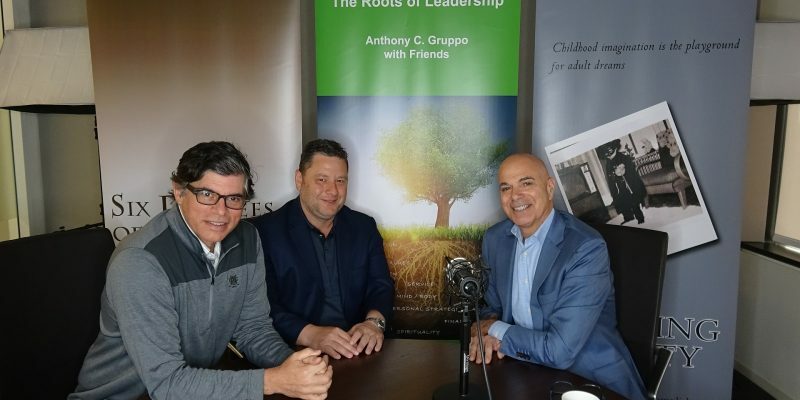 Keith, Dave, and Anthony discuss the essence of great leaders, learning from obstacles, and along the way we pick up three pieces of advice for setting our own personal and strategic goals. Find out more about AETHOS through http://www.aethoscg.com/. Chetan Dube – Can Machines Think?